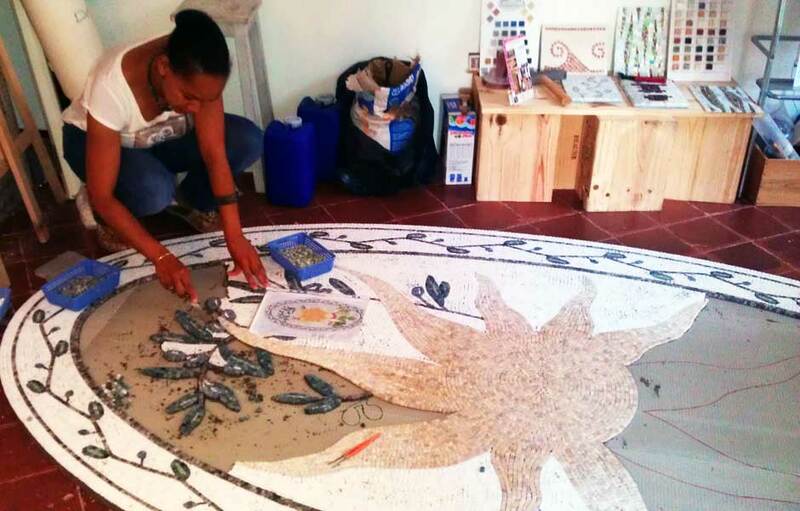 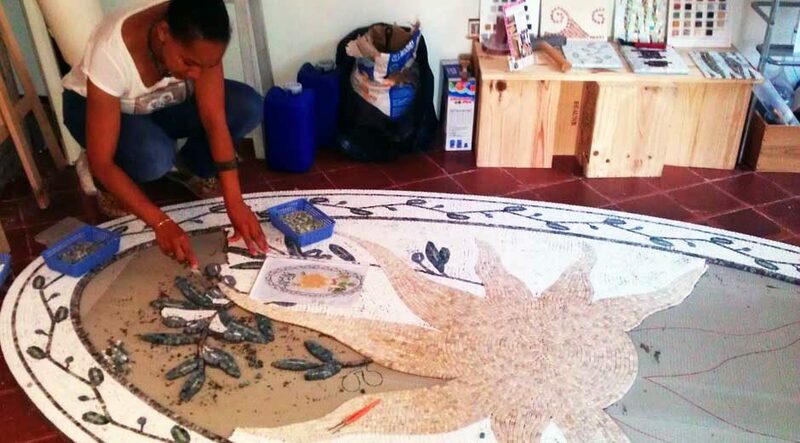 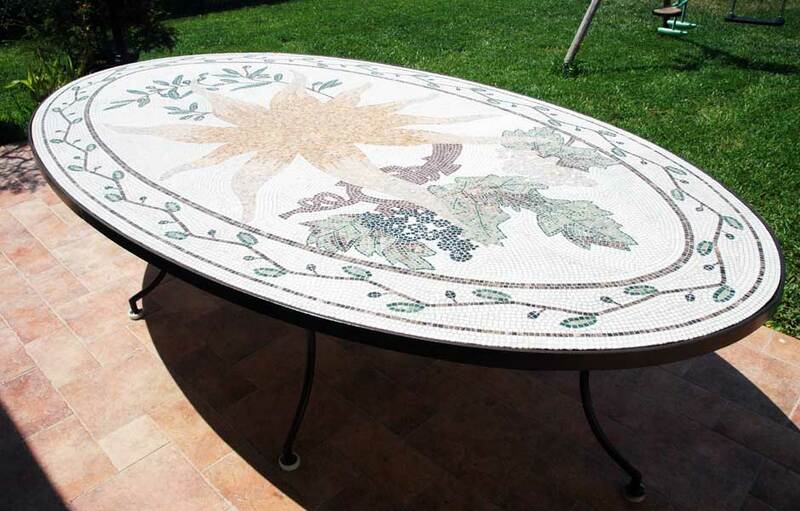 Custom design of a marble mosaic table top: unique hand-made mosaic in a Provençal style, for a large outdoor family table. 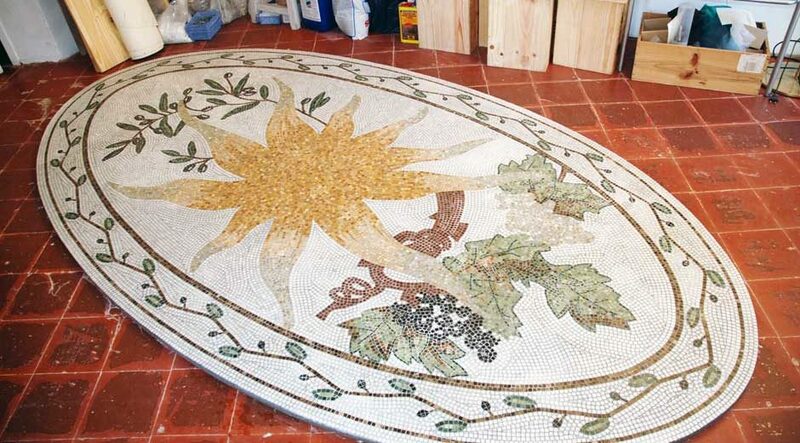 Mosaic creation with plane 10 mm x 10 mm marble, cut with a hammer and hardie. 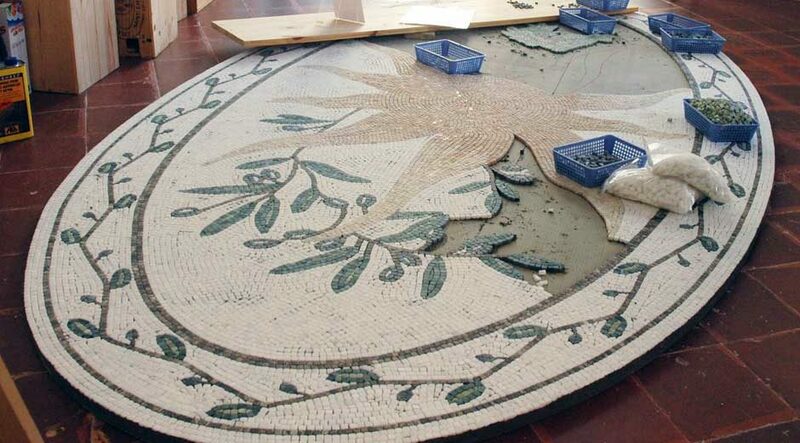 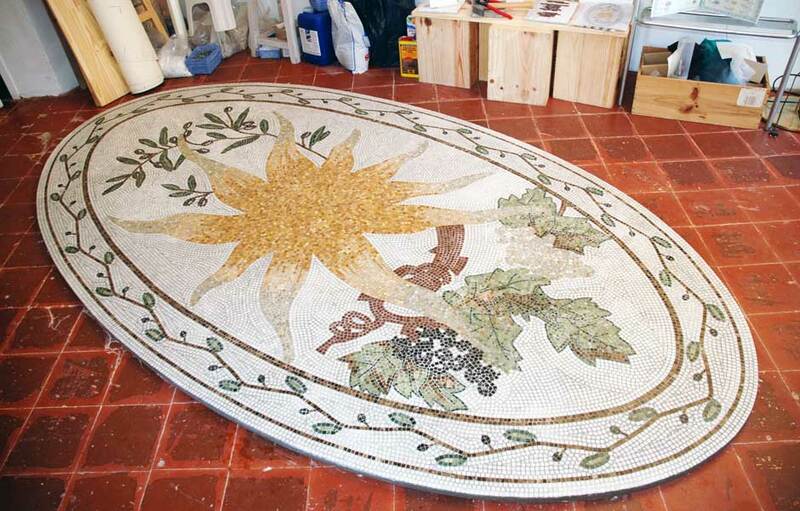 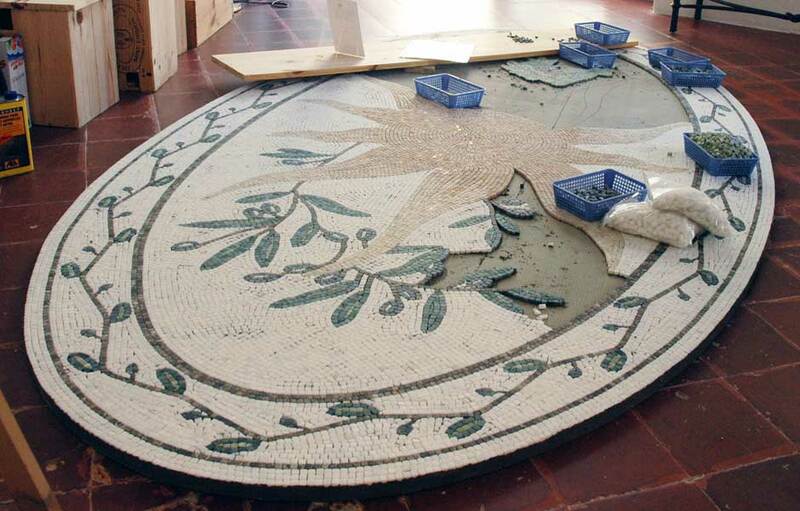 Mosaic pattern according to the customer wish (grapes, sun, olives). 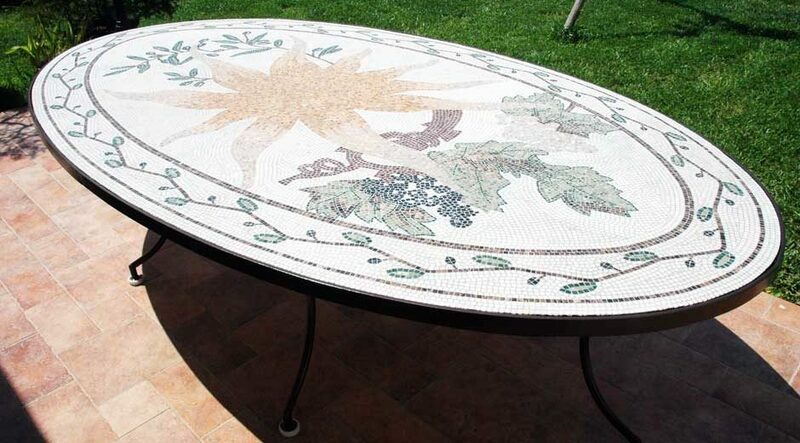 Support adapted to the custom-made wrought iron table legs.